One Lakeside, a 73,000 sq. 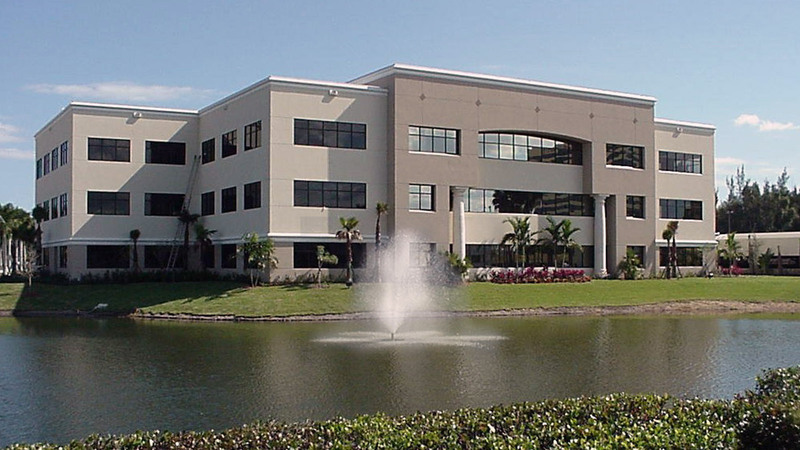 ft. Class "A" office building, was developed in 2001 for West Palm Beach, Florida tenants seeking a high-end corporate setting within Centrepark's lush, tropical environment. The building was designed to address economic goals of companies interested in quality, value office space, convenient to Downtown West Palm Beach. The project offers covered parking, hurricane-resistant features and a beautifully appointed lobby finished with elegant cherry wood paneling and granite floors.